Starting at Weir Park at the end of Drummond Street, this track is continuous all the way to Baillie Street. 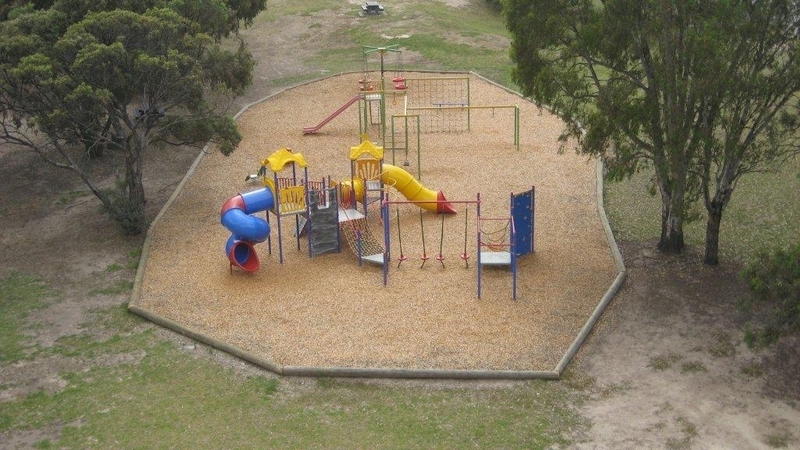 Along the way there may be small bridges to cross, playgrounds, various grassed areas to stop and rest, and plenty of places to stop and park your car if you only want to walk part of the track. 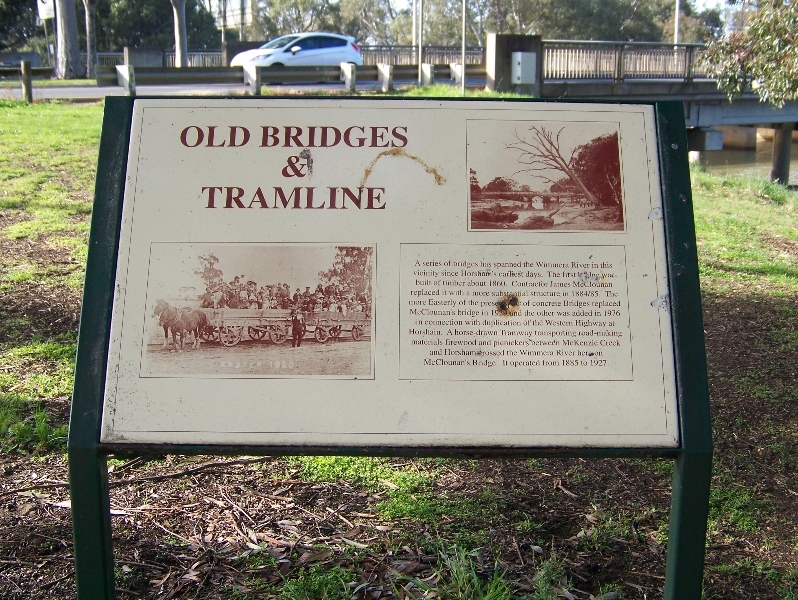 There are links at the start to the Wetlands and Yanga Track and at the end past Baillie Street. 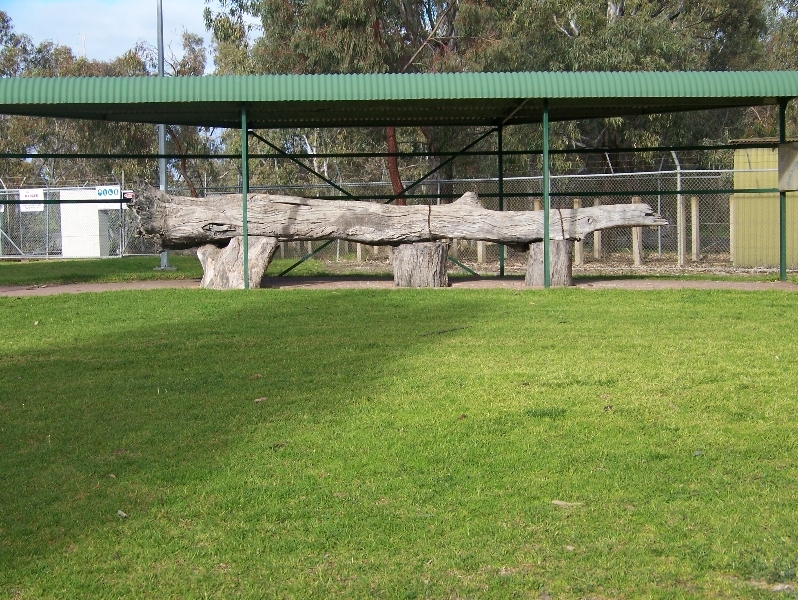 The Goolum Goolum Aboriginal Co-operative Ltd placed this here in 1997 after the family on whose property the tree stood at in Lubeck until 1977 donated it. 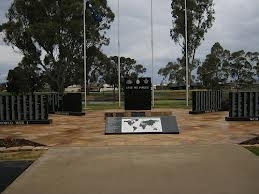 Formerly called Jaycees Park. 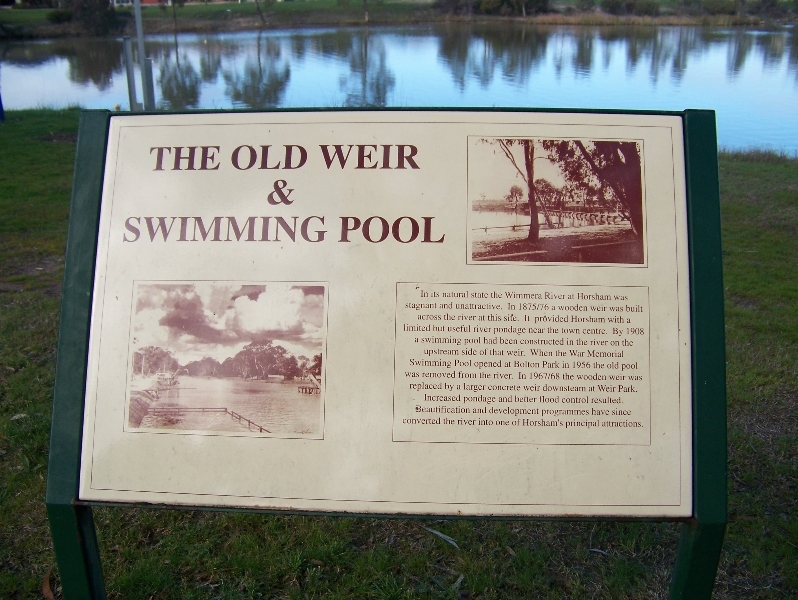 This was developed during the beautification in the late 60s as well as building of the new weir in 1968. 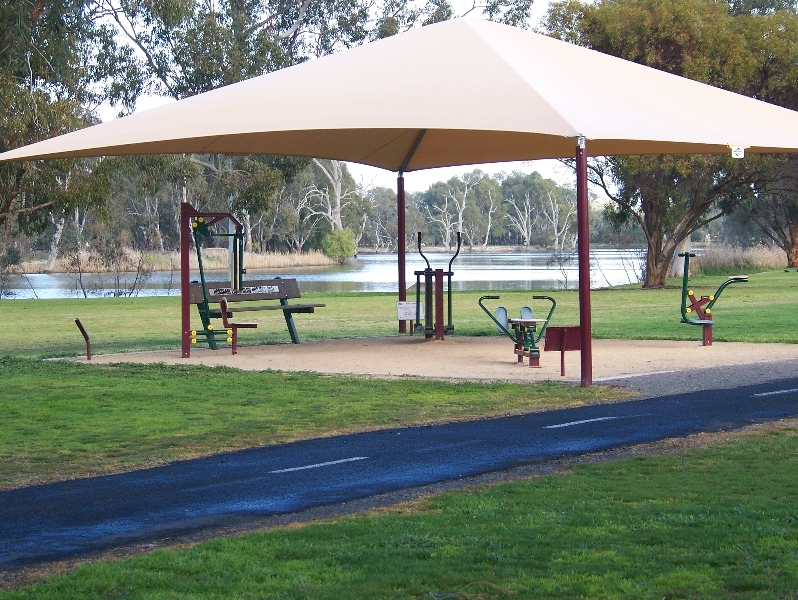 This is a man-made island built by the local Apex clubs during the river beautification of the 1960s and 70s. 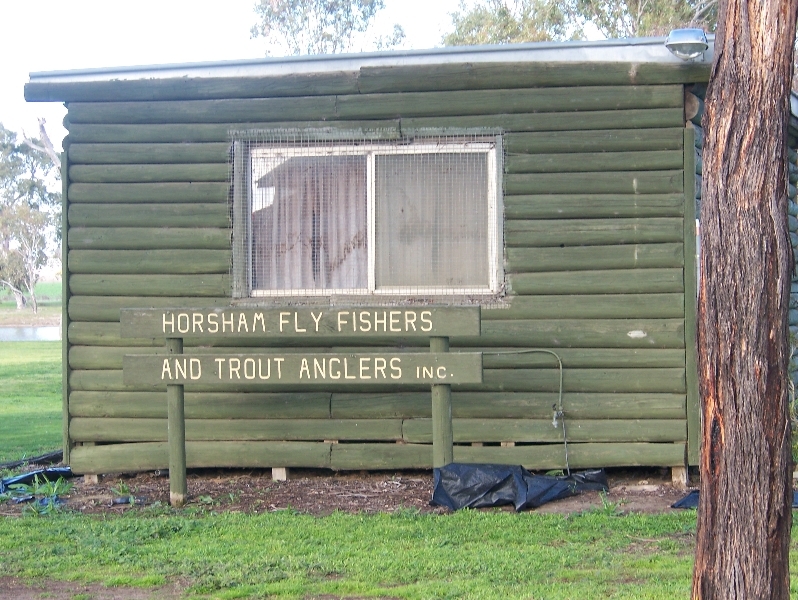 This is the home of one of the local Apex clubs. Up until the 1980s you could hire paddleboats from here. 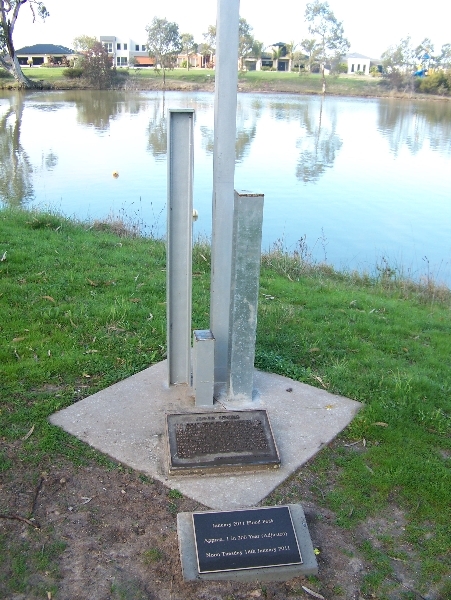 These indicate three of Horshams largest floods, in 1909, 1981 and more recently 2011. 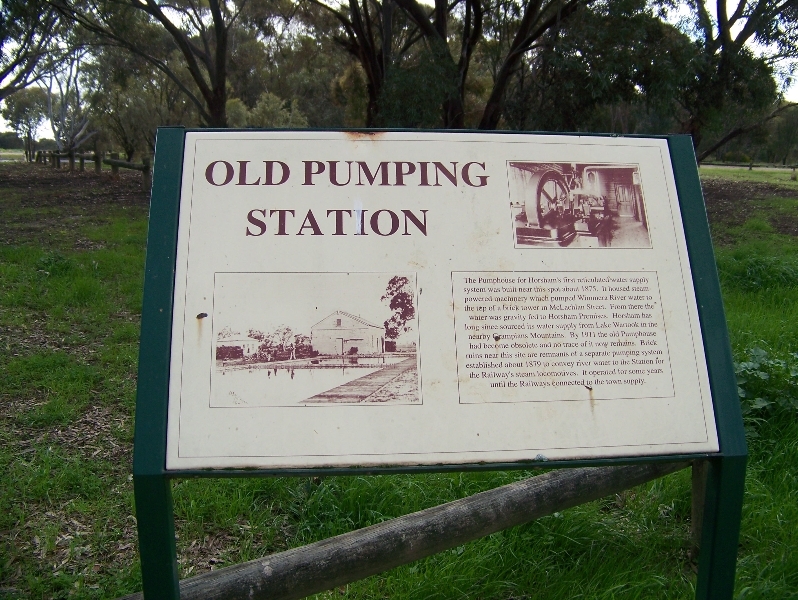 The second is an indication of the water height of the 1909 flood if the river beautification was effective. 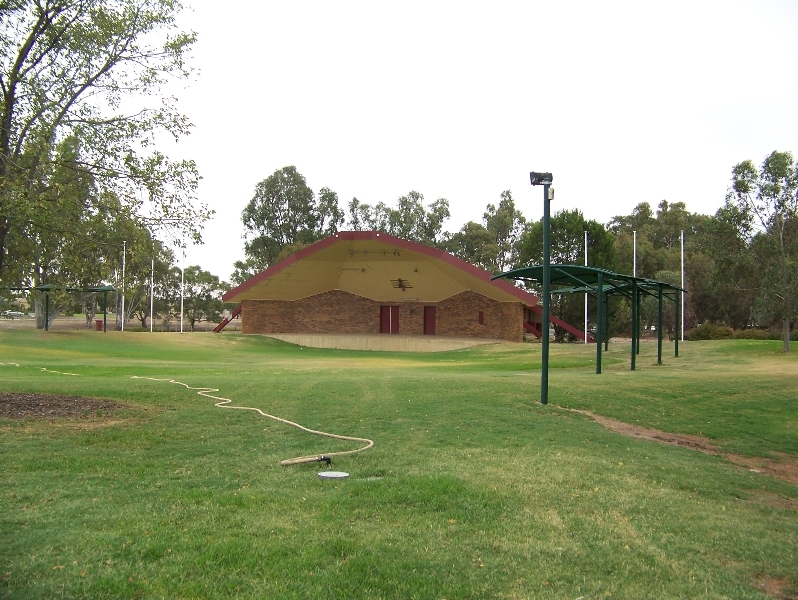 The soundshell was built in 1986 and is the site of many events including the Kannamaroo Festival and Carols by Candlelight. 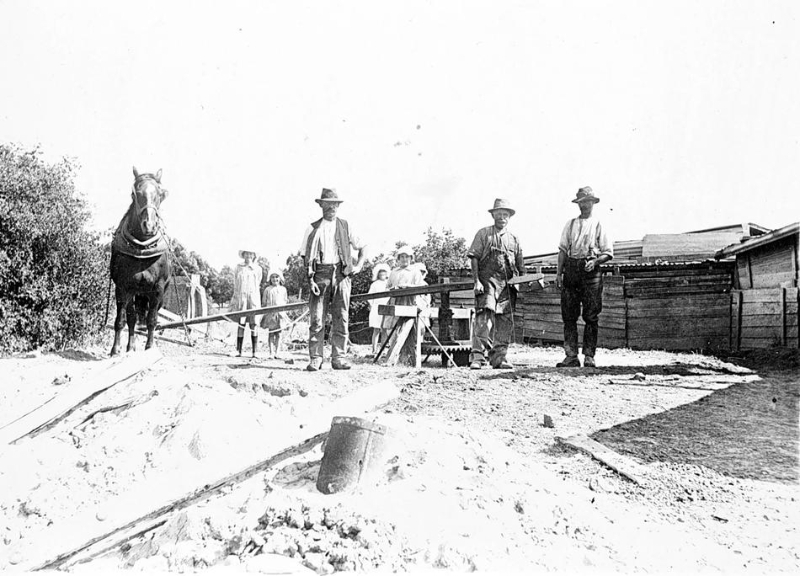 This land was owned by the Sawyer family who ran brickworks on this site from 1874-1939. 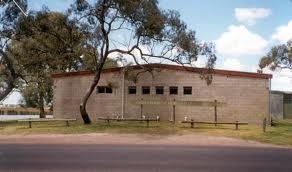 At the eastern end of the park is a relica kilm built from bricks made at the brickworks. 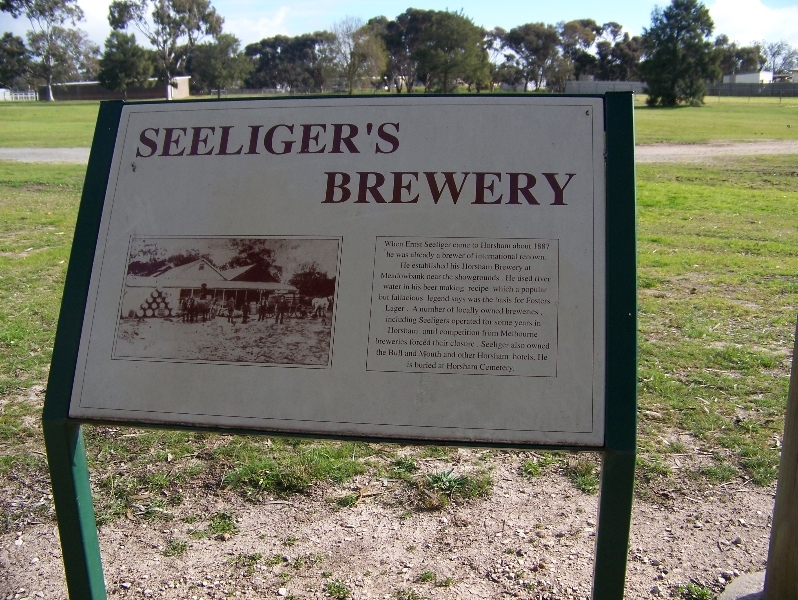 Ernst Seeliger worked as a brewer in South Australia before purchasing the Wimmera Brewery from Treacy and Smith at Meadowbank near the showground. This is the site of the 4th tee of Horsham's second Golf Course. 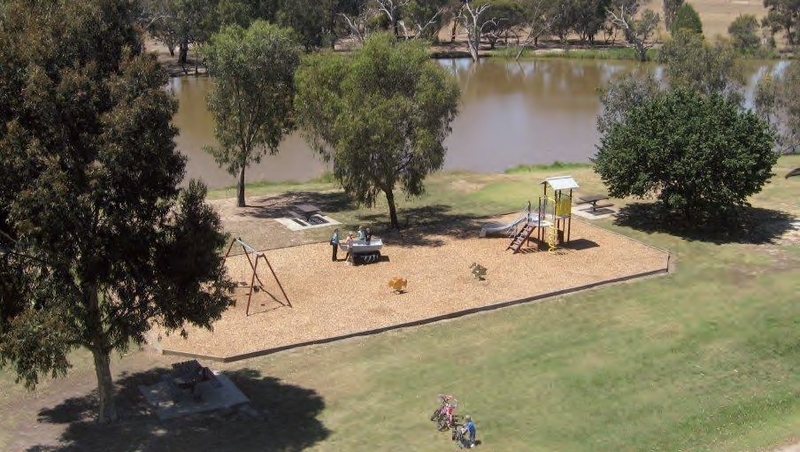 Players hit across Burnt Creek. 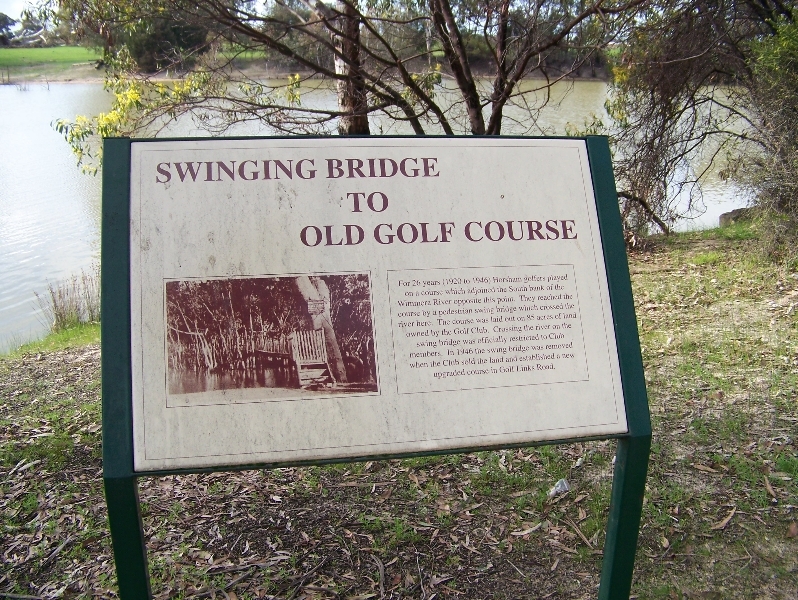 A pedestrian swing bridge crossed the river to reach the course.